On Friday 15 March, Christchurch, New Zealand fell victim to the eighth largest mass shooting in the world and the largest the country has witnessed in modern history. The shooter chose the Muslim day of worship for his attack and stormed into two crowded mosques killing 50 people and leaving another 48 in hospital. The reaction from politicians, the public and public figures resounded in harmony: this doesn’t happen in New Zealand. “The first time I realised that it was so serious was when a little girl came to the door, and she came through upside down, floppy. She looked dead. And then it hit me: children are coming in, this is really, really bad,” a Christchurch doctor, who asked to remain anonymous, told Big Issue North. It’s been a difficult decade for Christchurch, the city that tragically lost 185 lives in the 2011 earthquake, and some have argued that of all the cities in New Zealand it is best prepared for such emergency procedures. But whilst Christchurch may be better prepared for mass trauma following the natural disaster, it has been argued that more should have been done to tackle the cultural fault line. As the shock of Friday’s violence subsides, many are questioning why a city previously dubbed New Zealand’s home of white supremacy didn’t do more to prevent an attack of this nature. Professor Paul Spoonley, Massey University, has been researching New Zealand identity politics and far-right movements globally for almost 40 years. He spent much of the 90s talking to 70 extremist groups in the country. Spoonley has been drawing government attention to his research for years but believes it has remained naïve about the extent of the threat. 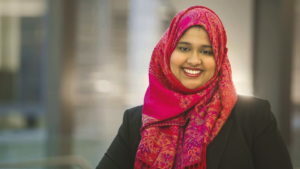 Pakeeza Rasheed, chairperson of the Khadija Leadership Network, a social enterprise empowering Muslim women, also tried to raise the alarm about the growing sense of impending danger within New Zealand’s Muslim community. Anti-Defamation League research has shown white supremacist propaganda in the US increased by 182 per cent between 2017 and 2018 and Home Office data revealed a 40 per cent rise in religiously motivated hate crime in the UK during the same period. The spread of extremist attitudes has largely been attributed to the internet. Facebook has become home to a web of groups in New Zealand claiming their duty is to “protect our lands, our national security and our sovereignty”. However, a quick search on these pages reveals the types of fake news, racism and scare mongering that thrive there. The web is not only where those with extremist ideas congregate and proliferate, but it was also the medium chosen by the shooter to launch his manifesto and livestream his actions, and where this disturbing video still circulates. Currently, these online groups remain small but online conversations are beginning to stir movement in the real world. In 2018 far-right Canadian activists Stefan Molyneux and Lauren Southern, the latter of whom is banned from the UK for distributing racist material, were set to tour New Zealand. Ahead of the visit, they were banned from Auckland Council venues on the grounds that the spaces “shouldn’t be used to stir up ethnic or religious tensions”. What followed were a series of rallies in Auckland, Wellington and Christchurch to protest the suppression of free speech and a crowdfunding campaign that raised $50,000 in just 24 hours to take Auckland Council to court. The protestors also carried banners reading “Beware Sharia Law”. The protests sparked debate, echoing those in modern politics around the world, about where the line lay between free speech and hate speech. Hate crime is not currently a criminal offence in New Zealand, although provision is made under the Human Rights Act. Spoonley believes that the tragic events on 15 March will be the motivation needed to make a change to the law. However, Rasheed says that although we should discuss new legislation around hate crimes, we shouldn’t rush into implementing changes. “We have colonial power structures in place geared towards the marginalisation of minorities so if you’re passing legislation, who is more likely to get ensnared in it? People of colour. Following the attack, New Zealand’s Prime Minister Jacinda Ardern swiftly announced her commitment to changing gun laws which allowed the 28-year-old Australian to amass a number of semi-automatic weapons during his two years in the country. This quick action has been welcomed unanimously by the cabinet and largely across New Zealand but looks to be just the start of long-awaited action.